"Spice It Up" F/W18 Pre-Order Now Open! I love Fall more than any other time of year. I look forward to it all the way through Spring and Summer, so when we finally brush up against the -ember months, I'm filled with excitement about all the new Autumn fashions. This year we have such a great collection of shoes - and satchels - available! We worked hard on this lot, inspired by an original catalog palette from the 1940s. We took the color inspiration and pairing descriptions and developed a line of beautiful retro and repro footwear, plus our new mini-collection of English leather satchels. 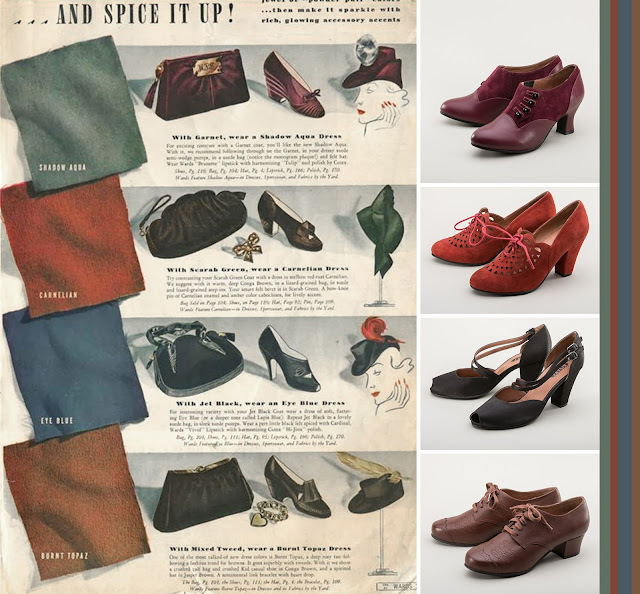 You'll find garnet, carnelian, moss green, and nutmeg brown, along with cranberry, burgundy, and classic black painted across 1930s suede and leather button shoes, 1940s mouton-trimmed booties, and oh-so-versatile oxfords and evening sandals to fit just about any occasion. * All new stuff qualifies for EasyPay Layaway and RoyalRewards Points, squee! This season we've also worked with Leather Satchel Co. to develop a petite range of handmade, all-leather bags to pair with our shoes. These are all made by craftsmen in Liverpool, UK, and feature our little Royal Vintage crown stamp. We have three sizes available for a variety of uses. New bags made just for by Leather Satchel Co. Check out our Pixie, Saddle, Bag, and Secretary Satchels in the new "Bags" section at RoyalVintageShoes.com. 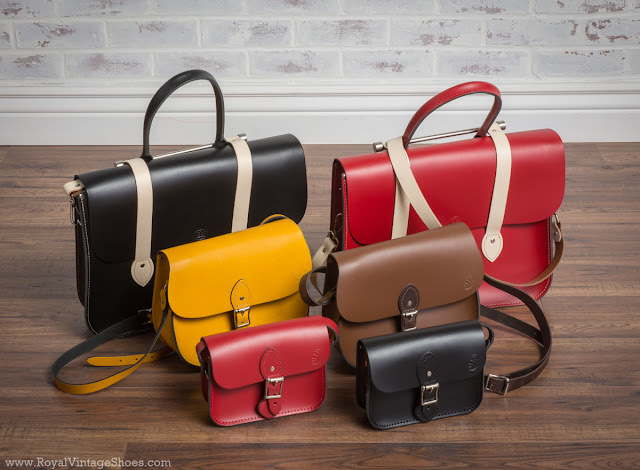 Lovely lovely leather satchels, made in the UK! 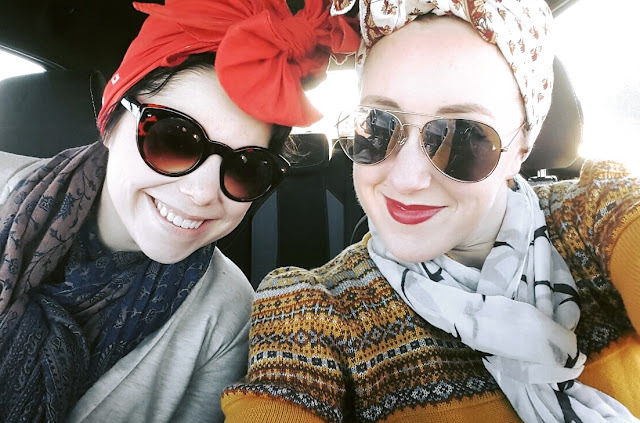 Lauren Stowell is the CEO and chief shoe doodler for Royal Vintage Shoes. She adores all things 1920s, 30s, and 40s. Abby Cox is the Vice President and primary shenanigator for Royal Vintage Shoes. She loves mixing up vintage and modern style. Hello Again - Foxtrot Summer!